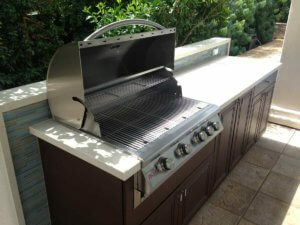 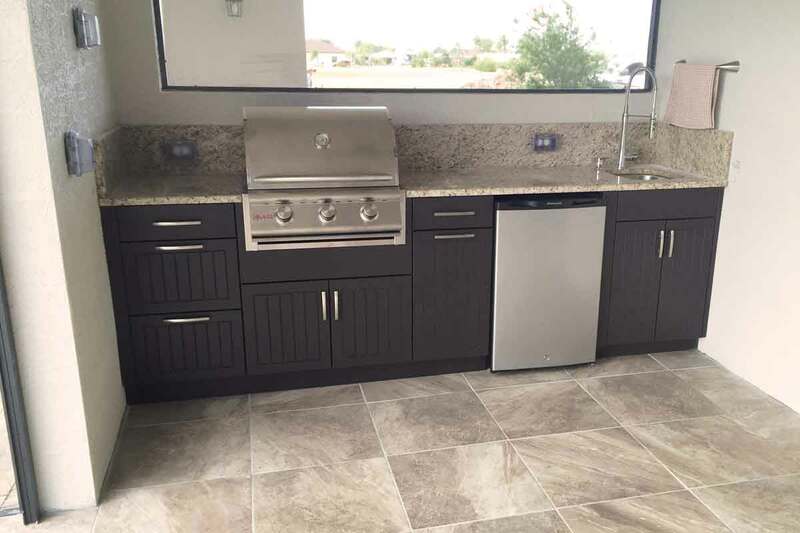 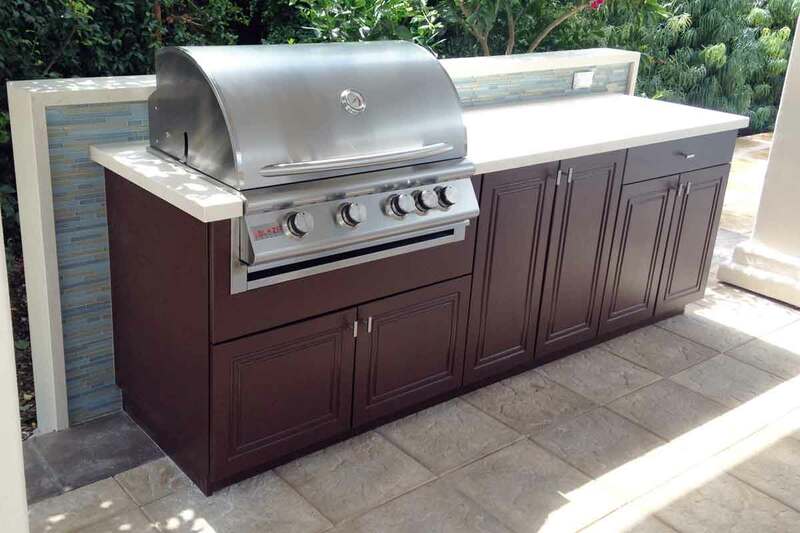 This 8.25 foot outdoor grilling station in California features a Blaze grill. 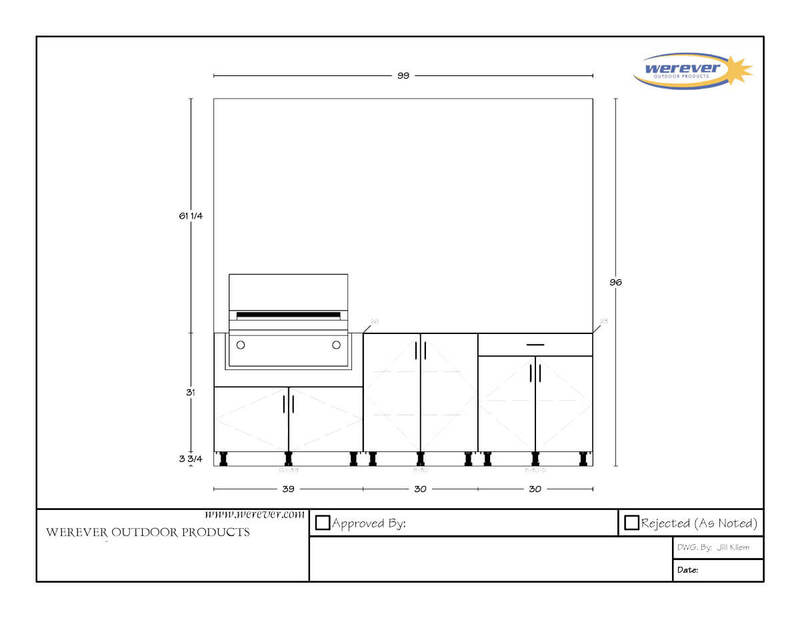 Grill outdoor cabinets are typically deeper (27 or 30 inches) than standard depth cabinets (24 inches). 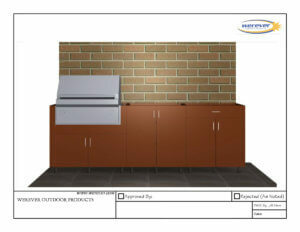 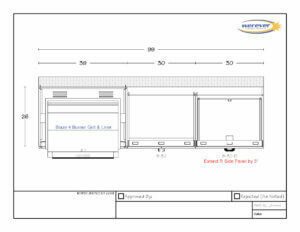 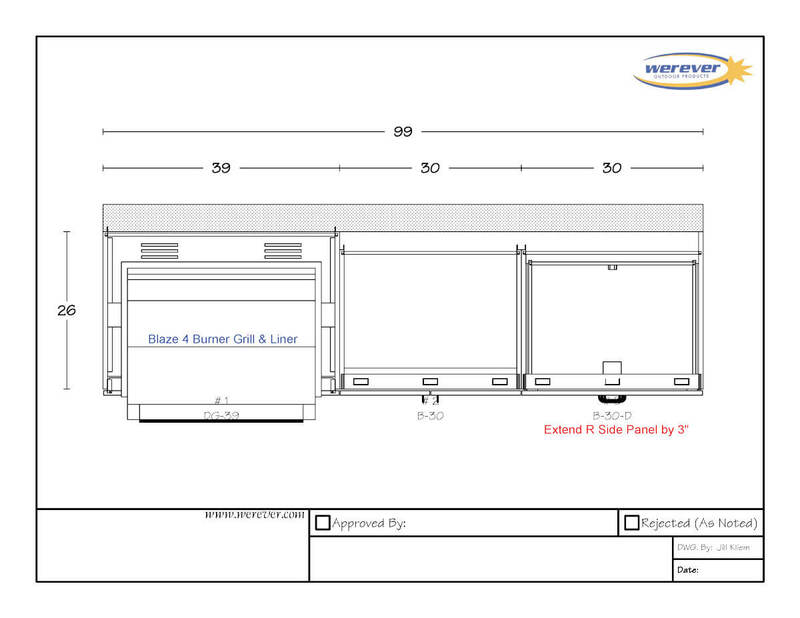 Some customers prefer the grill cabinet pronounced forward. 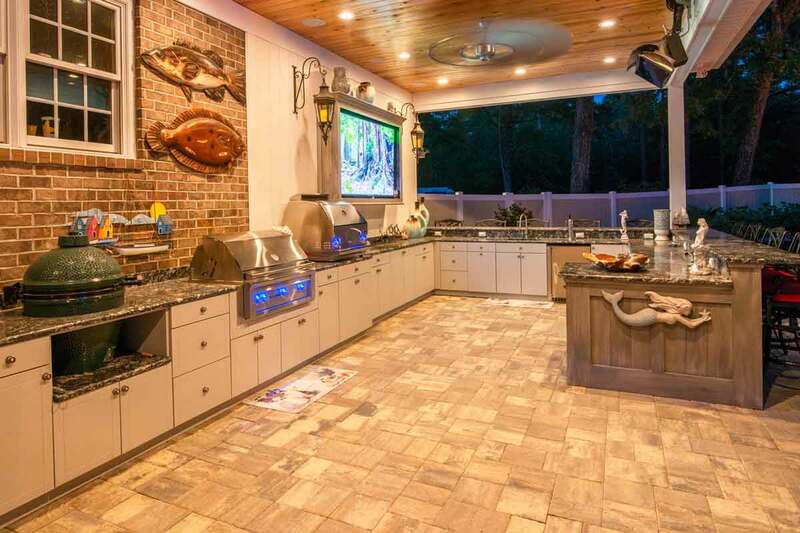 Some prefer the cabinets flush across the run. Werever's outdoor cabinet line is highly customizable. 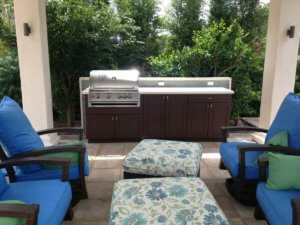 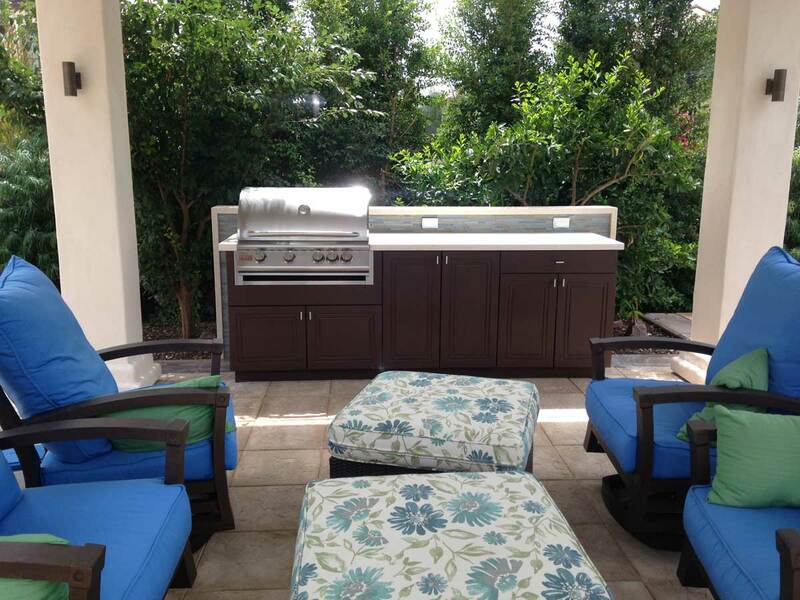 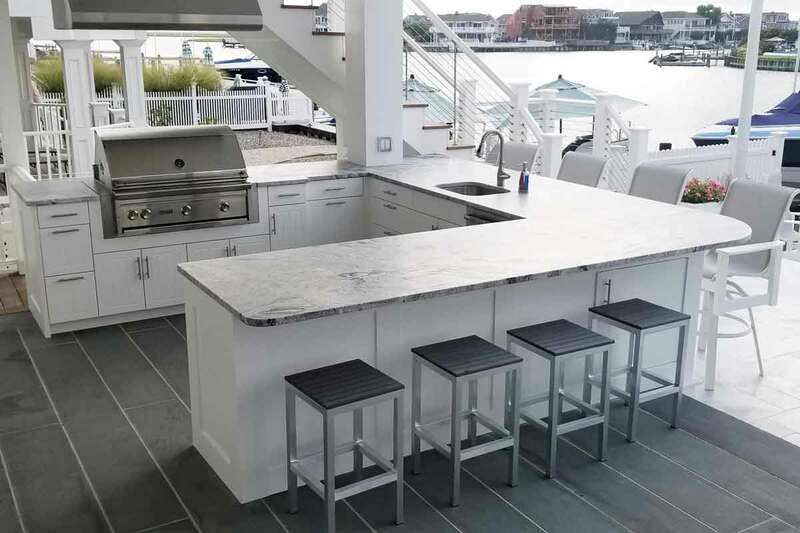 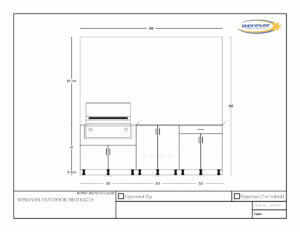 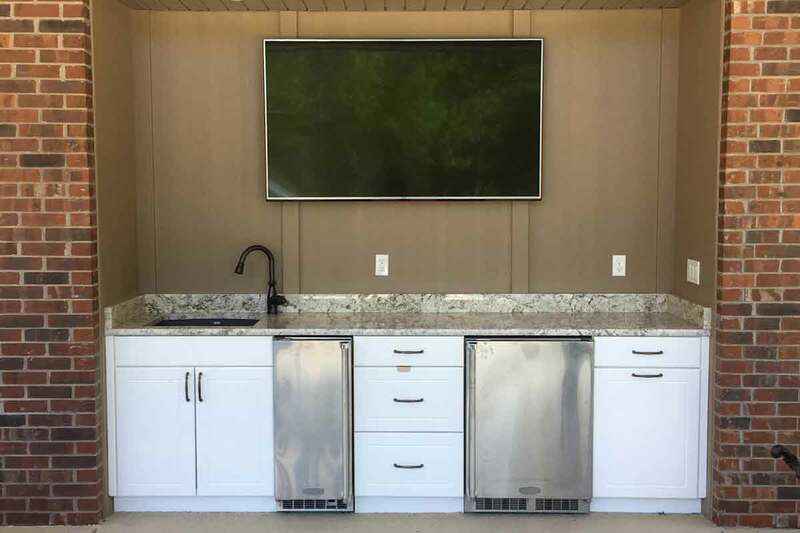 In this outdoor kitchen, the right side panel was extended 3 inches. 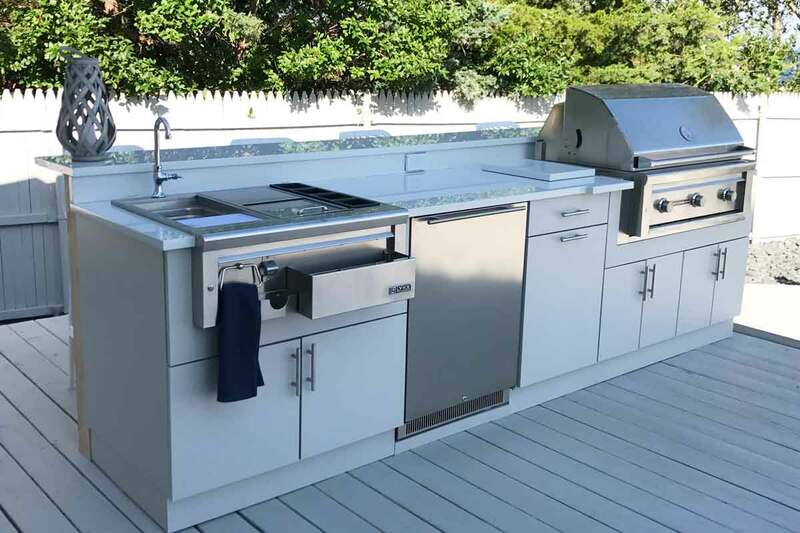 This simple modification saves the cost of an additional side panel, allowing the shallower depth cabinets to be pulled forward, flush with the grill cabinet.